Some foreign economic and financial organisations have maintained an optimistic outlook for Vietnam’s economy in 2016, in spite of the recent slower than expected GDP expansion. HSBC said the country’s manufacturing sector grew by 10.6 percent last year and contributed 1.6 percentage points to GDP growth of 6.7 percent. The industry will remain stable and develop by 10.7 percent in 2016. However, the bank revised their GDP forecast down to 6.3 percent for this year and 6.6 percent for 2017, it said on April 7. 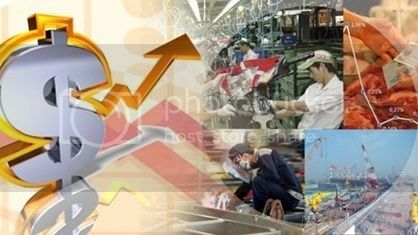 It elaborated that the actual GDP expansion of 5.6 percent in the first quarter of 2016 is slower than the bank’s previous prediction. Meanwhile, the recently proposed administrative tightening measures will curb credit growth at certain levels and could lead to less investment. Despite a possible slower growth, Vietnam will still have high economic growth. The prudence in policy making and priority given to macro-economic stabilisation will result in positive outcomes and ensure sustainable economic recovery, HSBC said. Sharing the same view, Aaron Batten, the country economist at the Asian Development Bank (ADB)’s Vietnam Resident Mission, said from many angles, the Vietnamese government is going the right way. Foreign investment into the country has hit a record high and will be still steady in the next few years. Retail sales have risen, along with businesses’ increasing optimism. According to the ADB’s data, the surge of over 55 percent in automobile sales in 2015 is evidence for a return in consumer confidence. It also made Vietnam’s auto market the fastest growing in Southeast Asia. Aaron Batten said although the GDP rise in Q1 fell short of expectations, it is not a thing to worry about as the increase in capital disbursement for projects since the beginning of Q2 will help fuel GDP growth. ADB predicts Vietnam’s GDP growth this year will be at the same pace as 2015 (6.7 percent), but it will slow down in 2017 (6.5 percent). The bank also foresees an increased but still low-level rate of inflation at 3 percent in 2016, and 4 percent the following year. ADB Country director for Vietnam Eric Sidgwick said Vietnam has to build a macro-economic buffer zone to ensure its economy’s resilience to future shocks. To do that, the country should enhance fiscal sustainability and consolidate foreign reserves. In the long term, it needs to do more to raise productivity and support domestic firms to integrate into the global value chains, he added.